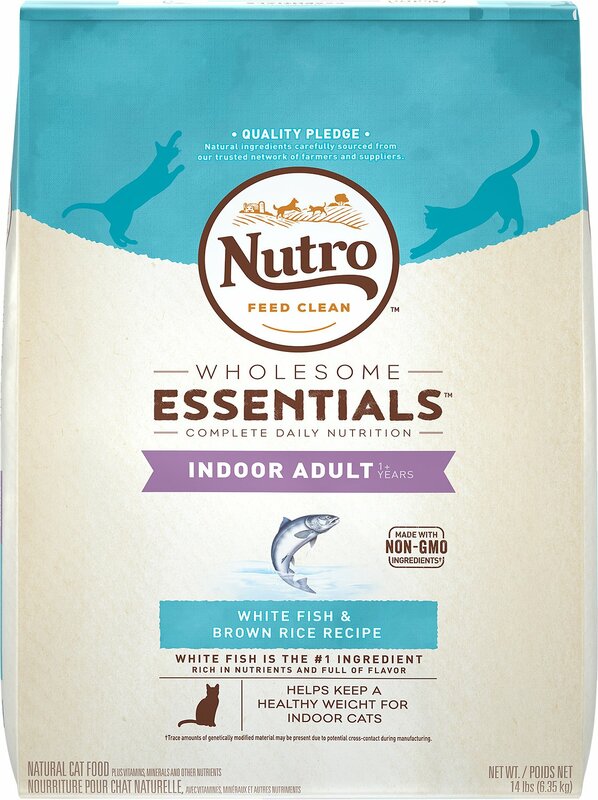 Give your kitty the wholesome goodness he craves and thrives on with the Nutro Wholesome Essentials Indoor Adult White Fish & Brown Rice Recipe Dry Cat Food. Made with white fish as the first ingredient, it’s clean nutrition in every bite with plenty of protein for healthy muscles and flavor to keep him satisfied. This indoor cat recipe is made with an ideal calorie content to help maintain your pal's healthy weight. It’s packed with everything your cat needs to look and feel his best, like antioxidants for healthy immunity, omegas for healthy skin and a lustrous coat and essential taurine for eye health. Plus, you won’t find any GMO ingredients, artificial flavors, colors or preservatives. Made with white fish as the first ingredient for high-quality protein and a unique blend of whole grains. Nutrient-packed and flavor-loaded so it provides a balanced and complete diet for adult cats and satisfies even picky eaters. Fortified with vitamins, minerals, antioxidants for immunity, omegas for a healthy skin and coat, taurine for healthy eyes, and natural fiber for healthy digestion. Made with ideal calorie content to help maintain your indoor cat's healthy weight, plus non-GMO ingredients, and no artificial flavors, colors or preservatives. Cooked in USA Nutro facilities with the finest ingredients from around the world, carefully sourced from a trusted network of farmers and suppliers. White Fish, Chicken Meal, Brewers Rice, Pea Protein, Chicken Fat (Preserved with Mixed Tocopherols), Whole Brown Rice, Potato Protein, Dehydrated Alfalfa Meal, Dried Plain Beet Pulp, Oat Fiber, Whole Grain Oatmeal, Natural Flavors, Soybean Oil (Preserved with Mixed Tocopherols), Flaxseed, Potassium Chloride, Choline Chloride, Dl-Methionine, Salt, Taurine, Vitamin E Supplement, Zinc Sulfate, L-Ascorbyl-2-Polyphosphate (Source of Vitamin C), Iron Amino Acid Chelate, Yucca Schidigera Extract, Vitamin B12 Supplement, Copper Amino Acid Chelate, Niacin Supplement, Sodium Selenite, Manganese Amino Acid Chelate, Biotin, Riboflavin Supplement (Vitamin B2), Calcium Pantothenate, Potassium Iodide, Thiamine Mononitrate (Vitamin B1), Vitamin A Supplement, Pyridoxine Hydrochloride (Vitamin B6), Vitamin D3 Supplement, Folic Acid, Rosemary Extract, Decaffeinated Green Tea Extract, Spearmint Extract. If feeding Nutro Dog Food for the first time or changing formulas, we suggest you blend increasing amounts of the new formula with your old dog food for 6 days. 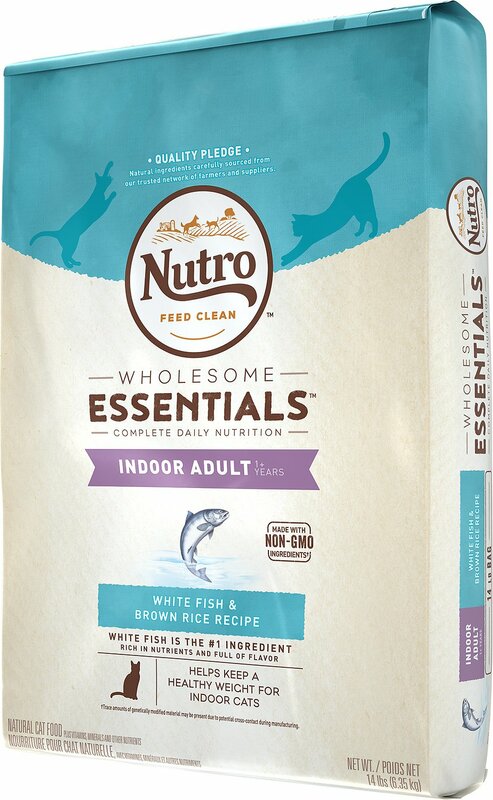 NUTRO WHOLESOME ESSENTIALS dry cat food always starts with great-tasting, high-quality protein from chicken, salmon, white fish, or turkey as the #1 ingredient. WHOLESOME ESSENTIALS recipes provide complete daily nutrition for your cat's unique life stage and needs by using natural ingredients plus vitamins, minerals and other nutrients. These nutritious recipes contain natural fiber from ingredients like beet pulp or oat fiber for healthy digestion. Best of all, these recipes are rich in nutrients and full of flavor for a satisfying and delicious meal. 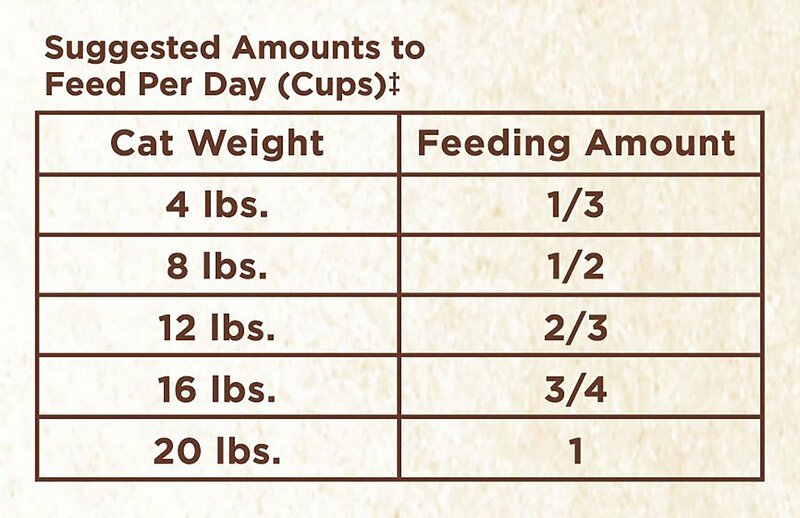 NUTRO WHOLESOME ESSENTIALS dry cat food recipes are made with non-GMO ingredients† from trusted farmers and suppliers. Each recipe always has a high-quality protein source as the #1 ingredient, and is crafted without chicken by-product meal, corn, wheat, soy protein or artificial flavors, colors or preservatives. Pet parents know that healthy skin and a soft, shiny coat are telltale signs of whole body health. NUTRO WHOLESOME ESSENTIALS recipes are crafted to promote healthy skin and a soft, shiny coat. Chicken: This great-tasting protein source provides amino acids, which are essential nutrients that help promote strong muscles, aid in tissue repair, and help support a healthy immune system. Brown Rice: Brown rice is an easily digestible, nutrient-rich grain. Brown rice provides balanced nutrition for your pet in the form of energy. Chicken Fat: A source of omega-6 fatty acids that helps promote healthy skin and coat. Flaxseed: Good source of omega-3 fatty acids, such as alpha-linolenic acid, for healthy skin and coat, and provides dietary fiber for digestive health. We have three cats, and since we switched to Nutro from a more commercial brand, their coats very soft, shiny, and do not shed nearly as much. They all love the food. Also no more vomiting, which is why we switched from the other brand. I’m super bummed that my oldest doesn’t really eat this food, my youngest even is like eh but he’s a pig! I’ll donate this bag and go back to their Rx diet! The cats really liked it. I like the ingredients. It's not too fishy so the cats that don't like fish still ate it without any issues. They'll eat the salmon flavor too so I don't think there's that much fish in the ingredients. There's chicken which is fine for my cats. Chicken allergens might affect others. I would definitely recommend this flavor even though I can't sleep anymore because my cats love this food so much they wake me at 4:00 every morning to be fed. 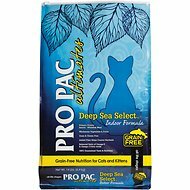 My animals are picky and they really like this catfood; I also like that it is non-GMO, which is important; it is hard to find non-GMO animal feeds. My cat is very finicky but seems to really enjoy this food. He prefers the same food in chicken flavor more but does indeed like this flavor too. I think this has an odd smell, but they greedibly chow down, so they seem to love it even more than the chicken. ALL of My Cats LOVE This Food !!!!!! 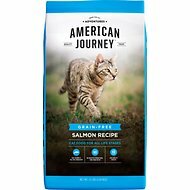 All of my INDOOR ONLY ( RESCUE ) Cats LOVE this food NOT one of my cats turned this food down !!! I feed the wet in this brand but this noone cared for.